Vice President for Manufacturing and Labor Affairs, Ford Motor Co.
A new Ford F-150 pickup rolls off the line at Ford Motor Co.'s Dearborn Truck and Kansas City assembly plants about every 52 seconds. If the F series was a standalone company, it would be worth more than McDonald's, U.S. Bank and 3M, according to an estimate by Morgan Stanley. Before retiring in October, Bruce Hettle ensured those pickup plants — and all of Ford's manufacturing facilities — kept humming. Hettle, 57, oversaw the global operations of 67 assembly, stamping and powertrain plants. He also was responsible for Ford's worldwide engineering support for stamping, vehicle and powertrain manufacturing, as well as material planning and logistics, the Ford production system, the manufacturing business office and labor affairs. 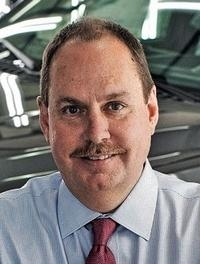 Hettle joined Ford in 1986 and spent his entire 32-year career with the company in manufacturing. He was instrumental in Ford transitioning its truck plants to build the industry's first aluminum-bodied, full-size pickup. Despite significant plant downtime, Ford didn't miss a beat, and the F series is on track to be the nation's best-selling truck for the 42nd-straight year.